Small businesses in Clark County make up the majority of membership within the Greater Vancouver Chamber of Commerce. We estimate that over 70% of our member businesses have ten full time employees or less; with a staggering 80% of new members who’ve joined over the past four years with five employees or less. 3.) Resources for businesses looking to relocate or expand within Southwest Washington. Small Business Development Centers (SBDCs) provide high quality management and technical assistance to small businesses and aspiring entrepreneurs. The role of the SBDC’s is to foster local and regional economic development through job creation and retention by supporting business growth, sustainability and assisting in the creation of new businesses. The SBDC’s do this through no cost, in-depth, one-on-one, long-term professional business advising, and low-cost training. Because of an extensive track record of success SBDC’s continue to be funded as one of the nation’s largest small business assistance programs. Since its founding on July 30, 1953, the U.S. Small Business Administration has delivered millions of loans, loan guarantees, contracts, counseling sessions and other forms of assistance to small businesses. The Portland Office also serves Southwest Washington. SCORE, America’s premier source of free and confidential small business advice for entrepreneurs and small businesses, is a nonprofit association with 354 SCORE offices across the country offering free business mentoring and low-cost workshops. WorkSource can help your business find qualified job applicants to fill open positions. Since WorkSource is funded through a variety of government programs and the Southwest Washington Workforce Development Council, these services are provided to businesses at no cost. The WorkSource business services team will work with you to understand your needs and help you find the right people so your business can thrive. Have you considered government agencies as a potential customer, if not you might be missing out on tapping into a huge market. 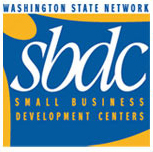 The Greater Vancouver Chamber of Commerce serves Southwest Washington as a Procurement Technical Assistance Center (PTAC) which provides free one-on-one counseling and training to help businesses in Clark, Cowlitz, and Skamania Counties understand how to do business with local, state, and federal agencies. Growth plans. Marketing plans. Internal control assessments. Creation and validation of startup business models. These are a few of the services local companies have received free through the Business Growth Mentor & Analysis Program at Washington State University Vancouver’s Carson College of Business. The Business Growth Mentor & Analysis Program is a student-conducted consultancy that offers pro bono services to entrepreneurs and small businesses looking to grow. Businesses get customized analysis and growth action plans, while students get practical experience (and college credit) working on real business issues. Faculty and volunteer business mentors guide students throughout the process. The Vancouver Business Resource website is a great place to begin looking for information on starting, maintaining, or expand your business. Entrepreneurs can find resources about your niche market, customers, finances, developing a business plan and a comprehensive checklist for Southwest Washington. If you’re maintaining your small business you can find where to go for issues such as: finances, managing your workforce, managing your risk, paying your taxes, networking or even selling or closing your business. If you’re looking to expand you can gain leads and insight on strategic planning, relocating, financial growth, marketing, permitting, exporting and more. There are a number of resources gathered in one spot at vancouverbusinessresource.org! The City of Vancouver’s Pre-Lease program is a resource for business owners who want to lease or buy commercial space, property owners wanting to renovate/redevelop commercial space, and for food truck vendors locating in the City of Vancouver. Staff from relevant city departments will meet with you in the new space, conduct a walk through, and provide comments and answer questions.